-. Energy Efficient built-in LED lights, keep cool while conserving energy. -Power switch on the back, flip to ON. A small circle on the bottom center of the mirror, touch circle, ON / OFF light. 1X, 2X and 3X Magnification. 2 It’s ideal for applying eyeliner, eye makeup, and other tasks that require precision. 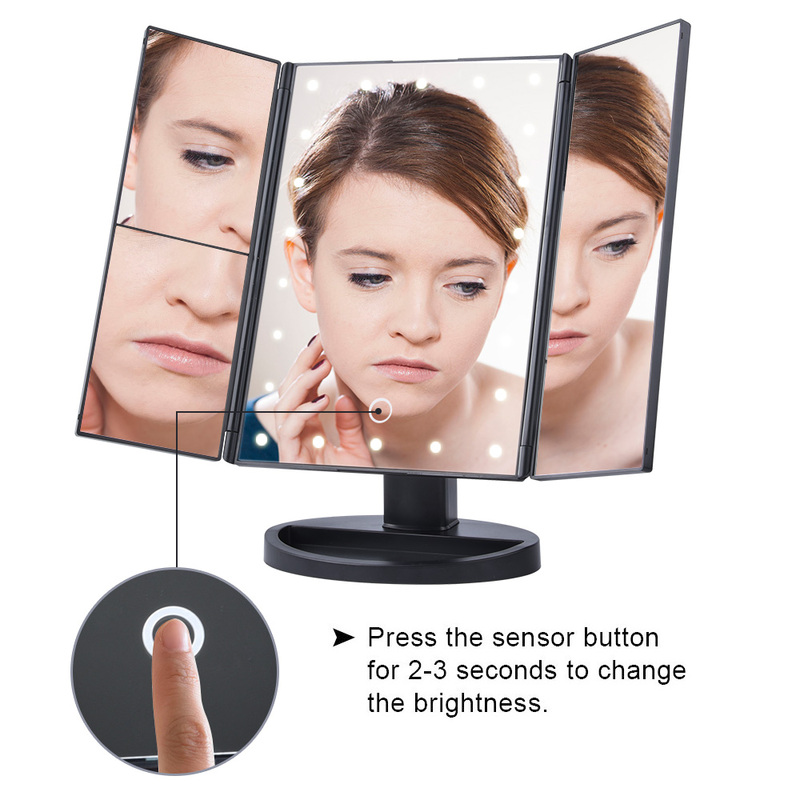 -It has a regular mirror on one side and the magnifying mirrors on the other, making this a very versatile tool for your beauty collection. 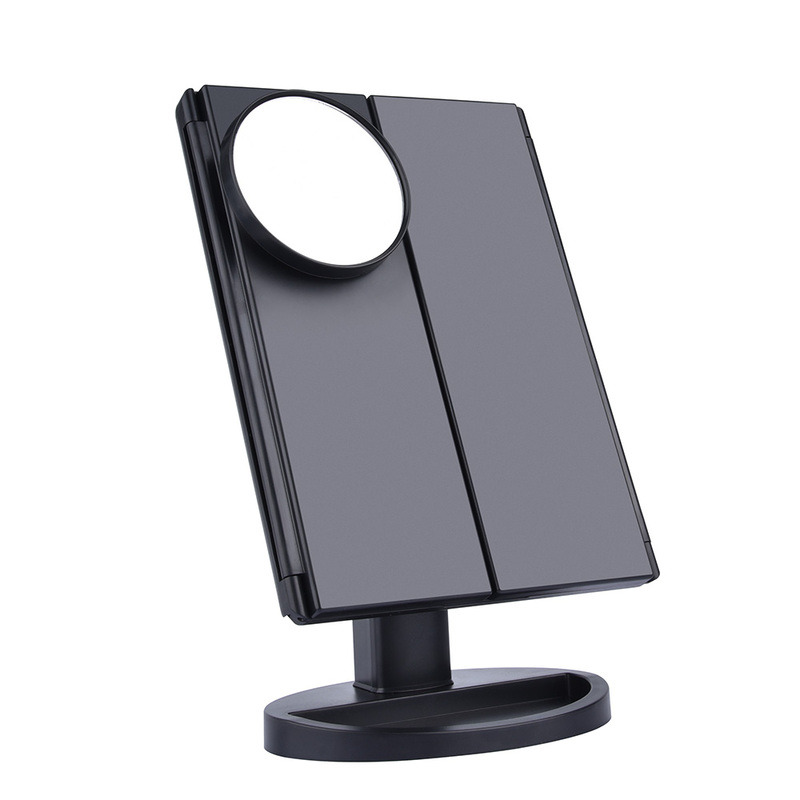 3.Adjustable stander that allows you to position it to your preference, and to use the mirror even if you’re standing up. The tri-folded design will save a lot of space on your table.